Help kids practice developing their sight word fluency by using some common and fun games and activities to give them an opportunity to read their sight words. Other than reading books and literature, ESL kids need more precise practice. These activities will be a HIT with your ESL learners! Help students read and understand their sight words by using these fun and engaging high frequency words posters. They can be used in so many ways, place each High Frequency Words Poster in small groups and have the kids read and work on the word mats. Download your FREE copy from the STORE HERE or click on the image below! 2. Crazy Roads Sight Word Game – from 123 Homeschool 4 Me. A fun and easy to prep game to help ESL kids recognise and read their sight words. Read all about it from the post here! 3. FREE Sight Word Tab Printable Booklets. These sight word booklets work just like a normal tab reader would. Just print two pages on one slide and cut in half. It’s a great way to teach esl sight words. Hand them out to the students and let them work on these readers. They kept my students on their toes as they made sure that the tabs ‘fit’ underneath each other. First is read, then trace, write and finally independently write the word without looking. Grab your copy from the POST RIGHT HERE or click on the image below. 4. 51 Sight Words Games and Activities. 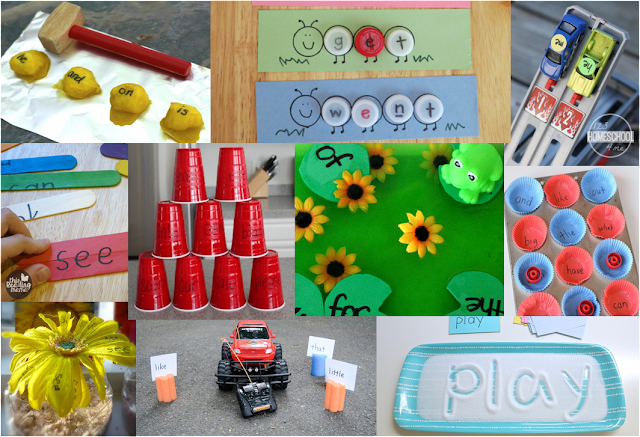 Here’s a list of the most exciting sight word games in one POST! These hands-on activities promote sight word recognition, reading and writing for esl students. Read all about them HERE or click on the image below! 5. The ultimate pirate game to engage ESL kids with sight words! These mats will have the kids working out the secret codes (and developing their beginning sounds skills) while completing each ‘sight word treasure map’. Read all about how you can set it up and download your FREEBIE mats HERE. 6. Camping Themed Sight Word Spin and Color from Totschooling. Kindergarten kids will LOVE this set of fun Camping themed spin and color sight word game! They will use a pencil to spin the words on the raccoon spinner, read the word, then color the worksheet. They will practice reading and identifying some common kindergarten sight words (plus blank sheet included) using a fun camping theme. Read all about it HERE or by clicking on the image below! 7. Sight Word Roll, Read and Trace. These fun and hands-on printables will have your ESL kids reading and writing their ESL sight words! The idea is that students race with a partner (preferably for more fun) and they each get a die, roll and trace the word corresponding to the number. If they don’t get of the numbers showing then they keep rolling till they do! They also keep doing this until they trace/color all the words. Grab your set here or click on the image below! 8. FREE common sight words bingo from 123 Homeschool 4 Me. These simple and low prep sight word games are so much fun for ESL students. Need a way to engage kids? These bingo printables will help promote reading sight words for ESL students. Grab your set here or by clicking on the image below! 9. Battle for Sight Words Game from Liz’s Early Learning Spot. This game will have kids reading and identifying their sight words by playing a sight word treasure hunt game. What a great way to get ESL kids engaged in learning their sight words. Read all about how you can set this up and download your copy HERE. 10. Teaching Sight Words to ESL Students: Reading sight words are a crucial component of any K-2 curriculum plan, but when it comes to teaching ESL kids the fundamentals that can be puzzling! This post will outline some easy ways to teach sight words to ESL students without overwhelming them. Read about 7+ sight word ESL activities HERE or click on the image below. FREE Back to School Printables and Ideas! FREE ALphabet Read Write Trace. Grab your set HERE or click on the image below!